Our Blog - We Would Love to Hear From You! You will love our wide variety of vinyl peel and stick Children’s Wall Stickers --- Children's Giant Wall Stickers --- Wallpaper Borders --- Deco Wall Decals ---- Wall Quotables ---- Chalkboard Decals --- MegaPack Decal Sets, and Seasonal Wall Decals. Not only are these decals and borders beautiful but they are removable and reusable making them perfect for those who live in rental homes or apartments. Be sure to also check out our beautiful Wallpaper Murals which include some of your favorite characters such as Mickey Mouse and Thomas the Train, kids wall murals including dinosaurs and Noah's Submarine, as well as beautiful wall murals for your home with beach scenery, wild mountain horses and modern swirls! TAKE A QUICK PEEK AT ALL OF OUR NEWEST WALL DECOR ITEMS!! 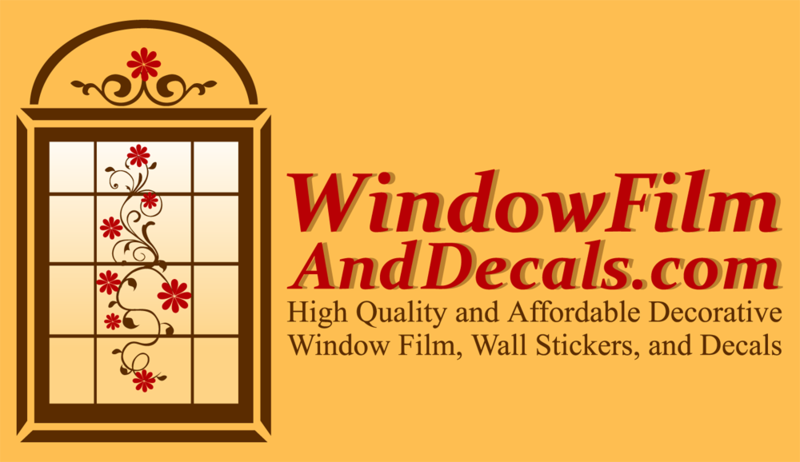 Superior Decorative Window Decals and Wall Decals Just for You!